Everyone welcomes new business opportunities and gets excited at the thought of a new challenge, not to mention more revenue for the company. But, we know that not all opportunities are a good thing to pursue. So, we evaluate every aspect before we leap. What’s the right way to go about making the assessment? 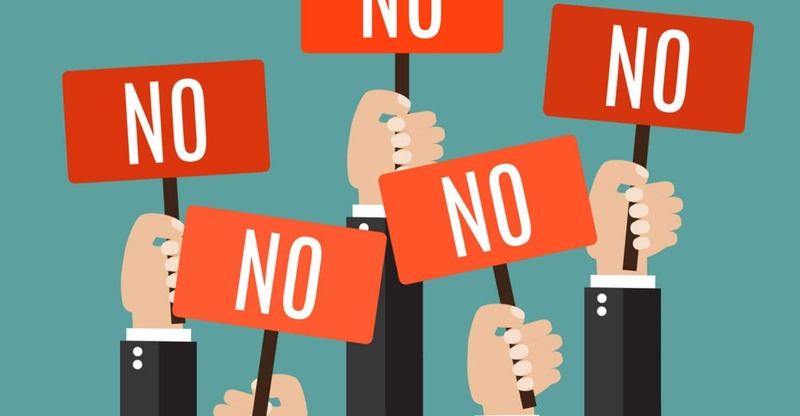 In most agencies, the director of business development isn’t the only one to weigh in on the go/no-go decision to go after a business opportunity. In some agencies, the entire executive team assembles to review the assignment – which isn’t necessarily a bad approach. After all, the discipline leads possess the strongest grasp of how their agency’s capabilities align with the prospect’s stated needs. Issues can arise in this dynamic, however, when personal motivations influence the decision-making process. For instance, the CFO may be under pressure to hit a defined revenue target and be blinded by the revenue opportunity of a particular prospect. Or a department head eager to grow a practice or capability may push to pursue an opportunity that includes a scope of work that is outside of the agency’s skill set. At the end of the day, the decision to move forward in a review should always be determined by an honest and realistic assessment of the agency’s chance of winning. And yes, for some opportunities the collective decision will be made to move forward knowing that your agency will be the underdog – but when this practice is commonplace, the impact will not only be financially damaging but will negatively drain the overall morale and culture of your agency. The agency leadership team should spend some time together developing a prospect screening process. What’s relevant for your agency will vary dramatically based on your capabilities, size, and structure. You may find it helpful to develop a weighted scorecard that is issued to key decision makers along with the RFI/RFP and later discussed during an in-person “opportunity assessment” meeting. Or, depending on the strength of your business development executive, you may choose to rely on this individual to make the assessment and then share their recommendation with the key decision makers. Following are a few critical questions that apply to all review situations which I find to be helpful in making smarter decisions about pitch participation. And though these principles are geared toward agencies, having a clear understanding of an agency’s screening criteria is very useful information to marketers who are seeking to put their business into review. Is the review process fair? Has the prospect provided agencies with adequate time to complete the submission? Is the level of the ask balanced with the potential opportunity? Will you be given access to the key decision makers throughout the process? Are the client brief and defined scope of work clear and thorough? Will having relevant category experience be a determining factor in the review? If you’re weak on this front, be sure to ask the prospect/consultant the importance of having relevant experience – or if having solved identical business challenges, but in different categories, is an equal substitute. Pay close attention to the case study requests. If you don’t feel like you have the case studies to nail the response, it’s likely a strong signal that you will not advance in the review process in favor of agencies that are category experts. Do you have the bandwidth at present to successfully pursue this opportunity? Some factors to take into consideration are how busy you are with existing client work, vacation/holiday schedules, concurrent pitches and the depth of your bench. If you don’t have the bandwidth to give the review process the full effort it will require (which is always a lot), it’s better not to participate. How well do your capabilities align with their needs? If you realize that you will have to bring in multiple partners in order to satisfy the requirements of the review, pause to reflect upon your competitive set (if known). While multiple roster agencies are common with large scale, global clients, prospects with smaller budgets often prefer a single provider. Additionally, if you don’t have the work to support your strength in a particular discipline, it is going to be immediately apparent once your submission is reviewed in context with agencies that have an expertise in that arena. What is the revenue potential of this opportunity? Do not move forward in the review process unless the prospect is willing to provide you with at least a ballpark estimate of the fee. Most agencies have revenue thresholds, so it’s important to understand if this account is too small (or too large) for your agency. Furthermore, spending countless hours responding to an RFP, or scoping a project, without understanding the budget is a terrible waste of time and effort. Every prospect has a budget in mind, and if they’re unwilling to share it with you, it’s an immediate signal of distrust and that building a true partnership with this prospect will be a challenge. Regardless of where you net out on the development of your agency’s screening criteria, the most important factor to weigh should always be an honest assessment of your chance of winning. Jane Matthews is the Director of Client Services at CreativeDrive and the founder of Hook, a consultancy focused on agency search and review management, business development, and agency marketing. Prior to forming Hook in early 2018, Jane spent five years at Moxie where she oversaw all growth initiatives for the agency, including marketing, PR and new business. Jane came to Moxie by way of another Atlanta-based agency, 22squared, where for nearly seven years she led all business development efforts. Prior to that, Jane held both client leadership and business development roles at Austin Kelley Advertising. Her career began in New York and has also included stints in publishing and market research.